Comet Coach Hire Ltd are a coach / minibus hire company offering all sorts of packages throughout the UK and beyond. Whether you're organising a school trip, planning your wedding day, or travelling around Europe, they can provide the perfect transport solution at a very reasonable price. Comet Coach Hire came to us because they needed a modern, user-friendly website that would enable them to reach a wider audience. The Designer Websites team came through as always - our designers gave the new site a bright yet professional look, and the online enquiry system makes it easy for customers to get an accurate quotation for their journey. Furthermore, since this is a responsive website, it functions perfectly on all devices, from smart TVs and desktop computers to tablets and smartphones. Need a new website for your business? Contact Designer Websites for a quote today! Keyword Cannibalisation: What Is It & Why Is It a Problem? 'Cannibalisation' is a very scary-sounding word, isn't it? It certainly conjures up some very grim mental images. While keyword cannibalisation isn't quite as grisly a concept as its name might suggest, it can cause big problems for your website, making it difficult for search engines to identify each page's purpose and potentially dragging down your rankings as a result. If you're unfamiliar with the idea of keyword cannibalisation, fear not - in this article, we'll talk about what it is, how it happens, and how to rectify it. Keyword cannibalisation is what happens when your website contains multiple pages that target the same keyword(s). Ideally, every search term you wish to rank for should be targeted on one page and one page only - otherwise, you're just forcing your own pages to compete with ('cannibalise') one another. 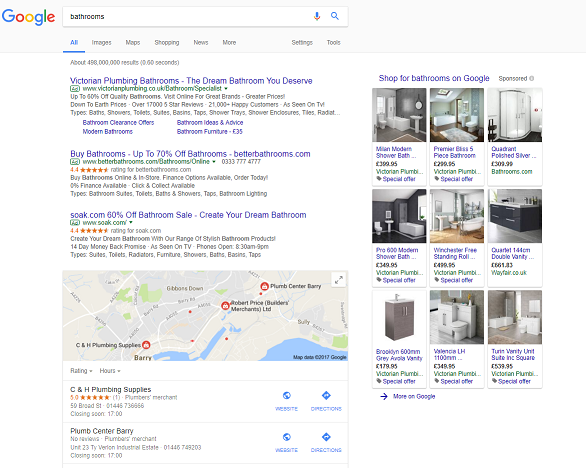 This may seem like a strong strategy, but what you're actually doing is making it difficult for Google and other search engines to identify which of your three 'antique furniture' pages they should actually be listing as a result for that query. Why is keyword cannibalisation a problem? As mentioned above, the problem with keyword cannibalisation is that those pages with the same keywords will be competing against one another in the SERPs. As a result, some or all of those pages may not rank for your chosen keywords at all, or all may just rank lower than if just one page was targeted. 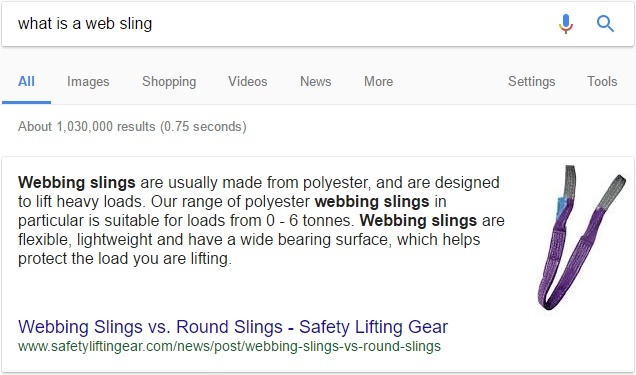 That's an issue, because in spite of the keywords they share, each of the competing pages may actually serve a totally different purpose from its brethren. Generally speaking, Google will not list 2 or more pages from the same website among its top 10 results for a given query UNLESS the algorithm is pretty certain that the user is looking for that specific website. (For instance, Googling 'eBay toys' will bring up a number of pages from eBay, whereas the top organic results for 'antique furniture' are gathered from a variety of different sites.) 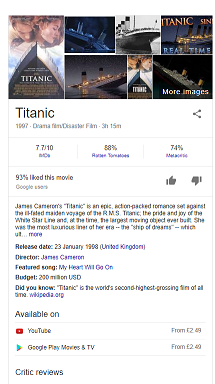 Google like to hedge their bets, and in most cases, they've got a better chance of satisfying the user if they show 10 results from 10 different sources rather than taking multiple pages from a single site. This means that, when Google's crawlers look at your website, you want it to be absolutely crystal-clear which page is best suited to which search term. 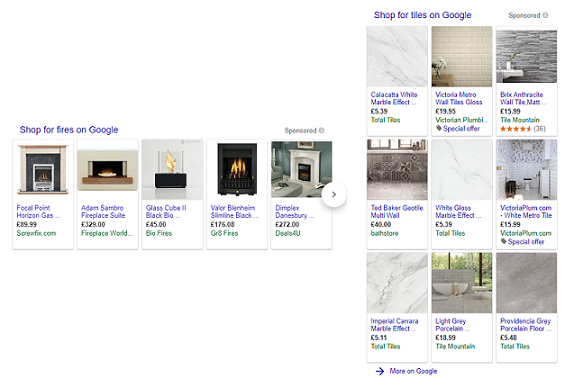 If you're presenting several different pages as possible responses to the query 'antique furniture', Google will get confused and may pick the wrong page to rank (e.g. a blog post rather than your main 'antique furniture' category, which might have had a better chance of driving clicks and conversions). Worse still, if none of the competing pages particularly stand out from the crowd, they may even decide not to rank any of your pages for that keyword at all. Content Quality - It would be difficult to have a plethora of pages on the subject of ‘antique oak furniture’ (for example) and ensure that each one was made up of interesting, useful and original content. Spreading your content too thinly across too many competing pages will inevitably reduce the overall quality of your website, and when it comes to ranking, unique high quality content beats quantity hands-down. Poor content not only leads to poor user experience, it also leads to high bounce rates and discourages people from sharing pages. External Links - Even if you do manage to make your competing pages share-worthy, you risk splitting your link equity and diluting the search engine 'juice' you receive when other websites link to yours. It's far better to have a single page/resource for each subject you wish to cover, because that way, anyone who links to you will easily be able to identify which of your URLs they should send their users to. 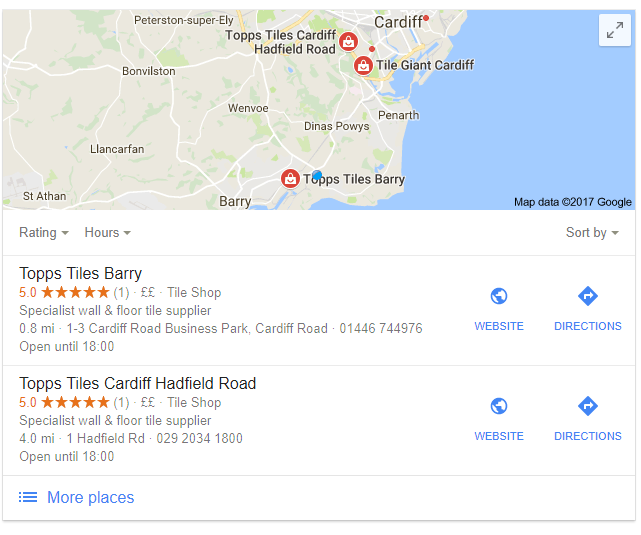 If 10 people want to link to a page about 'antique oak furniture', you ideally want all of them to link to the same part of your website - this will have a greater impact on your rankings than dividing those 10 links between multiple destinations. Internal Links - The above applies to internal links, too. Internal links are a big ranking factor; in order to determine the hierarchy of your website (i.e. which pages are most important), Google and the other search engines pay close attention to which of your own pages you link to from other parts of your website, how often you link to each page, and what words you use when you do so. If you've got just 1 page about 'antique oak furniture', you can simply link to that one every time you mention that subject elsewhere on your site. If there are 30 'antique oak furniture' links on your website - 10 to a category page, 10 to a specific product, and 10 to a blog post you wrote - it will be difficult for the bots to ascertain which of those linked pages might make the best result when somebody types 'antique oak furniture' into a search engine. What can I do about keyword cannibalisation? If you’re over-using keywords on purpose because you believe it will boost your rankings, we would strongly recommend that you stop right now. Keyword cannibalism often happens by accident, but some site owners, and even some online marketing agencies, mistakenly think that using the same keyword in multiple titles and headings throughout a website will help that website rank better for the cannibalised keyword. As we've explained, though, that simply isn't the case. Hopefully, you’re now in a position to avoid keyword cannibalisation from the get-go. When creating a website, you can avoid this error by making sure you have thoroughly planned the site architecture. Every page should be detailed, unique, and serve its own distinct purpose. If two of your pages are giving users more or less the same information on the same subject, then one of them is a waste, and likely damaging your rankings. Furthermore, all keywords, titles and header tags should be unique to their page. Once you know what pages you need and what each one's function is, it should be relatively easy to choose the keyword(s) for each page using a tool like Keyword Planner. Get rid of them. If the cannibal pages don't actually serve any purpose to the user, the best thing to do is delete them and use 301 redirects to send their URLs to the good-quality page you've chosen to keep. This will mean that any links to the cannibalised pages pass their ranking 'juice' to the good page instead. Anyone who attempts to visit any of the deleted pages in the future will be redirected to the page you kept. The golden rule when it comes to keyword cannibalisation is that every page of your website should offer something unique. If every page serves a different purpose, there's little risk of crossover between keywords, page copy, and meta tags because you'll need different words to describe each page's function. Keyword cannibalisation can be a pretty good indicator that you have multiple pages stepping on each other's toes and offering basically the same information/service to the end user - if that's the case, either strip those unnecessary pages out or justify their existence by giving them their own unique focus. If you need help with your website’s SEO, our team of experts are more than happy to help. Contact Designer Websites now to discuss your requirements. Broadleaf Timber is one of the UK's leading real wood specialist companies, who have been supplying stunning real wood products throughout the UK and beyond for over 10 years. They dedicate themselves to providing the highest-quality wooden products to their consumers, as they believe the modern day mass-produced materials simply cannot compare to the quality of solid wood. They work to supply every customer with high-quality and durable wood products that will stand the test of time. Over the course of the decade, they have expanded their product range vastly to include everything from bespoke staircases to a variety of spectacular wooden floorings. They also have numerous impressive showrooms across the country which they actively encourage customers to visit. They decided to opt for a redesign of their website in order to provide the best user experience to their customers across all channels. They sought to make their functional e-commerce website fully responsive in order to market their real wood products and services to the widest possible audience across all devices. To achieve their vision, we provided a complete redesign of the website. Our design team worked hard to ensure the new responsive website provided a smooth and accessible experience for all visitors, across all devices. The new design also compliments the Broadleaf brand, displaying the real wood products they supply through the use of large, visually appealing images and distinct categories. This redesign works to make it quick and easy for consumers to browse and compare the numerous different wooden products they supply. Amongst the many user-friendly features on the website, there is also a handy feature which allows customers to add products they're interested into their 'favourites' basket and come back to it at a later date. We're very proud of the new redesign and if you'd like to have a closer look or you're interested in buying some fantastic quality wooden flooring, just click here to visit the new and improved Broadleaf Timber website! Would you also like to make your website easily accessible, SEO friendly and fully responsive so you can reach the widest audience possible? You can get in touch with us today to request a free quote.